"Traveling in the ancestral lands of Alexander the Great, I recently explored the unique sights found in the Balkan countries of Macedonia, Albania and northern Greece. 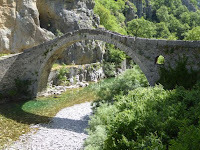 The three Balkan countries I visited preserve a tremendous amount of antiquity and ancient history, as they all have very rich heritages..
Our journey from Greece took us across the border to fascinating Albania, which was the most isolated and closed country in the world following World War II. 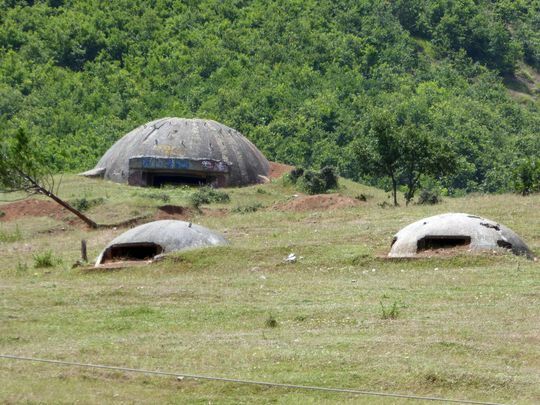 Its brutal Communist dictator had closed its borders, and his irrational fear of an invasion led him to construct an unbelievable number of 700,000 small bunkers, plus tunnels, to allegedly protect his population. 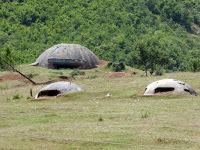 I have never seen such a weird sight as these bunkers still lining the highways and its cities. In Albania, we spent two evenings in the UNESCO world heritage city of Gjirokaster, a very old historic town on a steep hillside containing several Ottoman-era mansions with stone slate roofs and crowned by a massive 15th century castle. We visited its Ottoman bazaar dating from the 17th century. 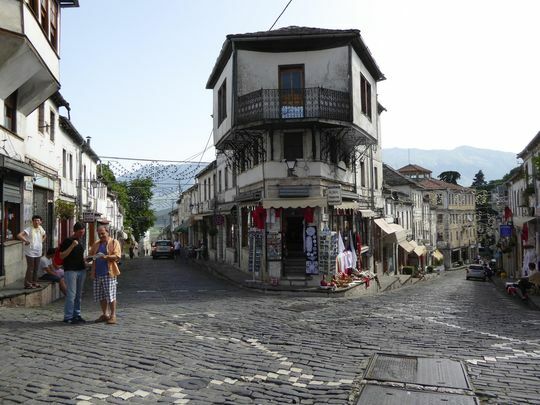 Later we toured the town of Berat, containing stunning Ottoman-style homes and a 2,500 year old fortification. Tirana, Albania's capital, was our next destination. It is a fairly modern city with wide boulevards, parks and high rises. 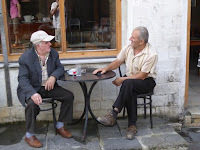 Here we learned about the turbulent history of the country that included 400 years of occupation by the Ottomans, Italians and Nazi's during WW II, and the 45 years of a Communist dictatorship." "Exploring ancestral lands", is an article published in Sun Times by Dave Pattison also known as “The Marco Traveler". The author choose these 3 places Albania, Greece and Macedonia to write about in his last article for the Sun Times. "This is my last article I will write for the Sun Times, which is ceasing publication, and I hope readers have enjoyed learning about places known and unknown, and have gained an understanding about unique and varied cultures that can be discovered around the world", he wrote.